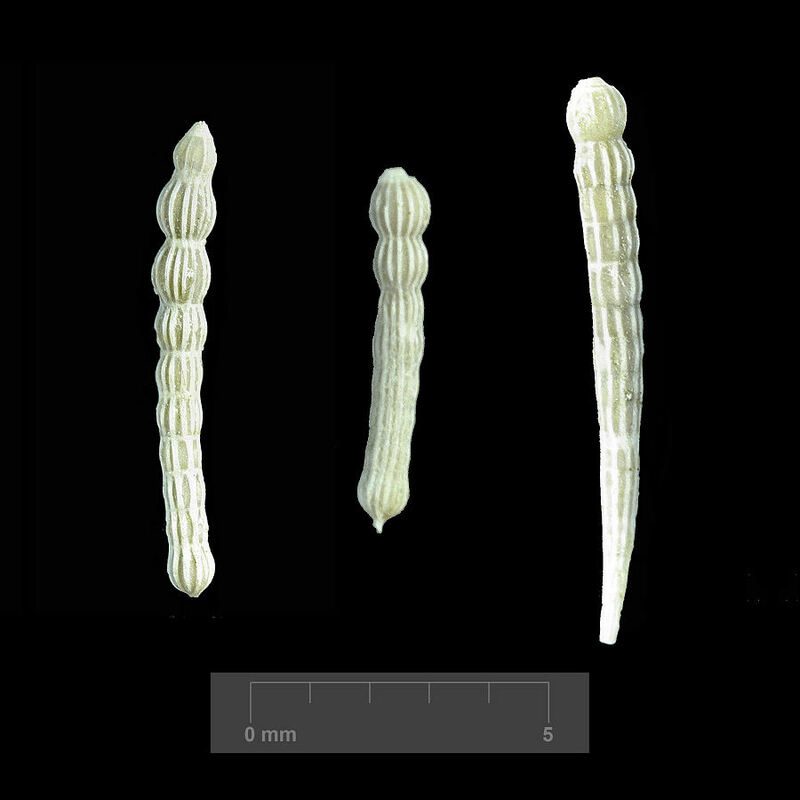 Foraminifera are single-celled marine organisms with internal shells commonly referred to as “tests”. 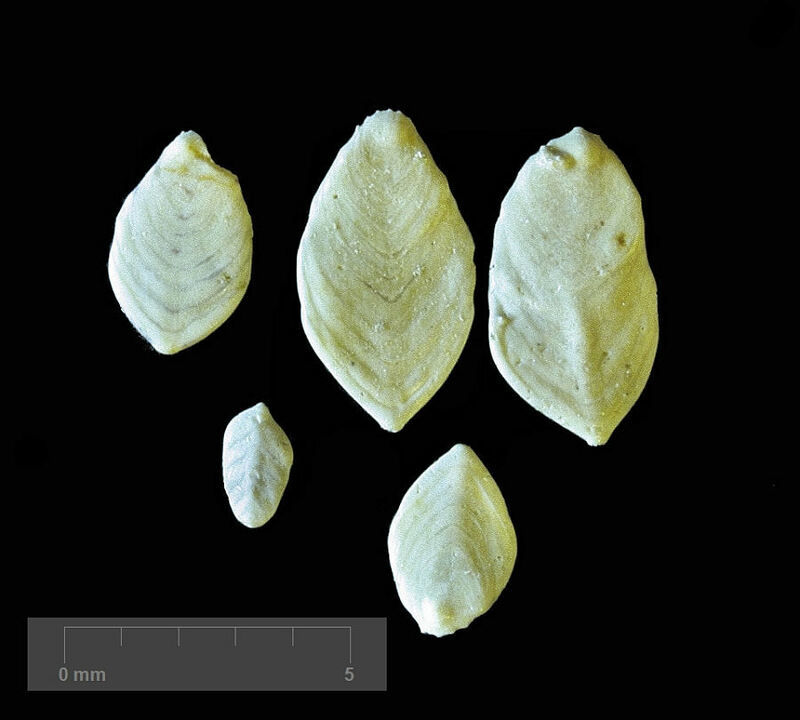 The shells are commonly divided into chambers that are added during growth. 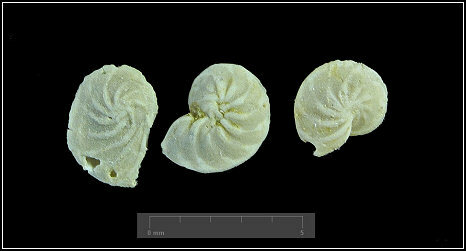 Forams are found in a bewildering array of shapes and sizes. There are some 4,000 known species with a geological range from the earliest Cambrian to the present day. 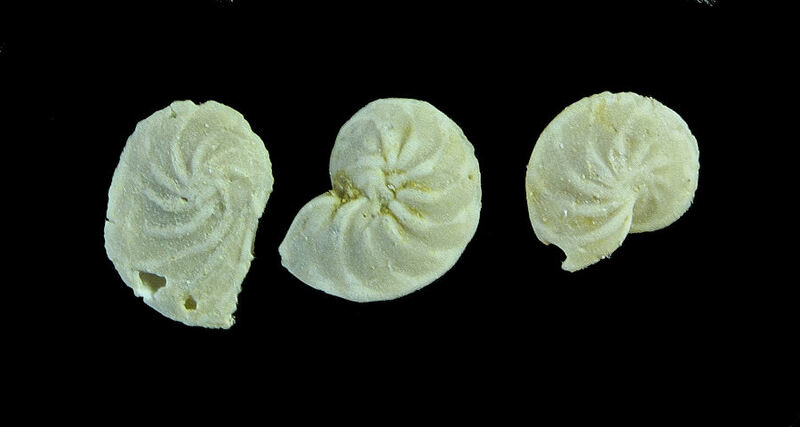 The following images are from the Vincentown formation (Paleocene) in New Jersey and are presently unidentified. grow larger, up to 10 centimeters in length. 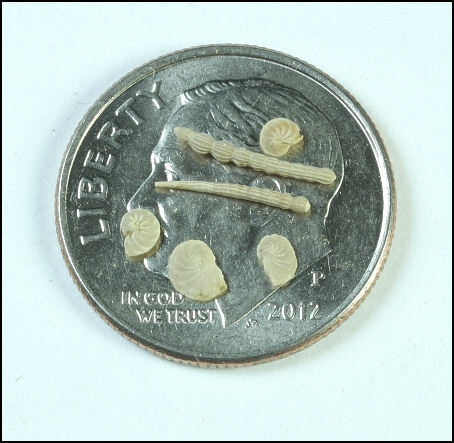 The tests are commonly divided into chambers that are added during growth. Chambers aligned in a row. 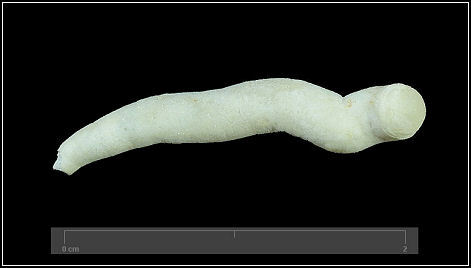 One of the larger species at 2 cm or about 3/4 of an inch.